In the conference program of the IFAC Symposium on IAV in Gdańsk 2019, we plan technical sessions with presentations of works selected by the International Scientific Committee (IPC) and plenary meetings, on which plenary lectures of experts and recognized authorities in the field of intelligent autonomous vehicles are presented as a contribution to the discussion. Please note that the deadline for submitting papers for the IAV'2019 symposium has been postponed to the 4th of February 2019. For a short instruction see: getstarted (PDF). and demonstrator presentation (PDF) (a virtual or real installation). Papers will be presented at either lecture/oral sessions or interactive/poster sessions. It is at the discretion of the IPC to choose which papers are presented in oral and interactive sessions. The oral form of lecture presentation consists in an author's speech within a 20-minute time window (including questions from the audience) in a conference room with a screen projector. Plenary lectures are planned for 45 minutes. Interactive presentations will take place during 3-hour sessions (perhaps in parallel with the other oral presentations). The organizers will provide a stand to display a printed poster. The presenter should also prepare a short (5-8 minutes) speech related to the poster to emphasize the context and contribution. Such an introduction can be repeated for various visitors and is intended to enable the presentation of the main results of the work. In addition, we provide a framework for the organization of special sessions and other satellite events, company presentations, product shows, competitions and discussion panels. Proposals submitted as demonstrators will be shown in separate exhibition halls during dedicated sessions. Please contact the demonstration session chair (Anna Witkowska) to prepare logistics related to the arrival, storage and exhibition of the demonstration installation (or device). other session submission of the Invited Session Proposal or Open Invited Session Proposal types. IAV discussion panels to trigger an exchange of viewpoints among experts from academia and industry. IAV student workshop for papers indicated directly for this event (PDF), with later deadline, also possible for selected works not eligible for the IFAC IAV 2019 Symposium. IAV Cup 2019 - Second Edition (2019) . 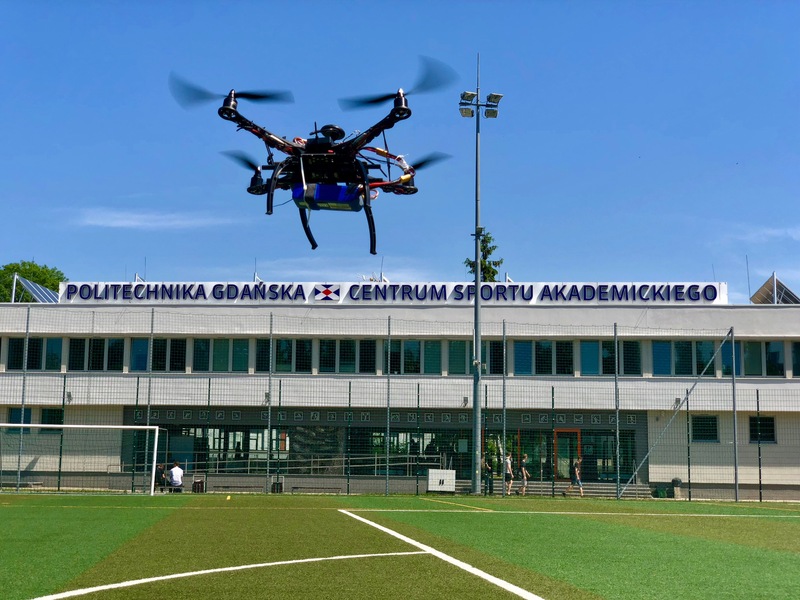 The second edition of the Intelligent Autonomous Vehicles Cup will take place on 6 July 2019 on the football pitch of the Gdańsk University of Technology Sports Center. 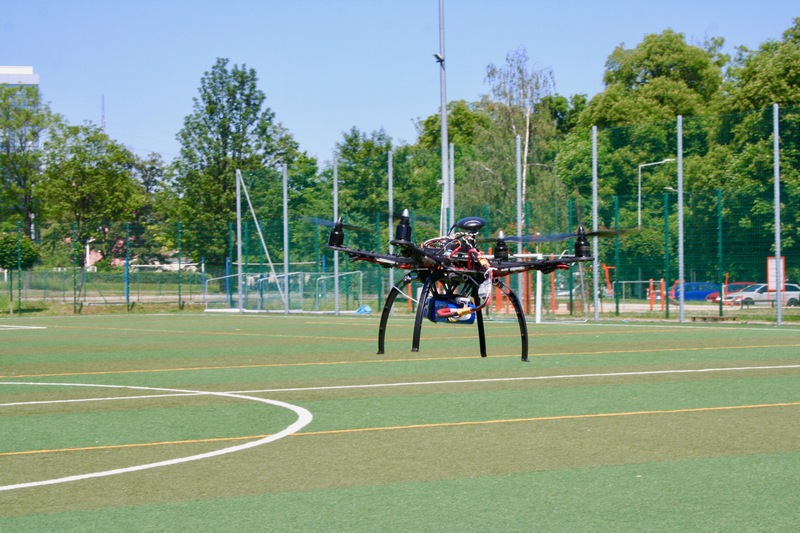 During the event, the vehicles compete in three competitions: Drone Race, Marker Search and Freestyle (show of completed constructions). All news regarding the upcoming event are published here. Any questions can be directed to the address. IAV exhibitions – a sponsor's presentation and display of the state of the art solutions in the field of autonomous and intelligent vehicles. IAV hackathon addressed to programmers solving problems associated with the field of autonomous and intelligent vehicles and robots. the Emerald International Journal of Intelligent Unmanned Systems (nominated publications). - selected technical works based on trade presentations, satellite events, competitions, demonstrations and student workshop presentations being outside the main course of the scientific conference and not meeting the requirements of the IFAC scientific publication.